Dr. Fulton and his team of highly trained professionals are devoted to providing the highest quality dentistry in Northwest Ohio. They combine a genuine, caring environment with a commitment to dental excellence. For over 33 years, Dr. Fulton and his team have earned the trust and confidence of Northwest Ohio families and friends. We take great pride in the quality of care we provide. Our team's mission is to exceed your expectations of today's dentistry. We achieve this by making quality, excellence and patient comfort our top priorities. More importantly, we take great pleasure in delivering individualized care for each and every patient. Dr. Fulton and his team are dedicated to providing dentistry with distinction and are honored to serve you. Thanks to all of you for being so kind and fun to be around. I am so happy with my new smile. Each and every one of you had a part in that no matter how large or small. I am so happy!! Fit, function and appearance... everything is perfect!! You are truly a master of your profession. I love my smile so much. It is amazing how great my smile is and how often I use it now! Dr. Fulton gave me a smile I can be proud of and his team is so nice! It's like home here. I feel so much better about myself. People don't know I have dentures. When I go out I smile with confidence. Thank you Dr. Fulton! Everyone here is so nice. It made it possible for me to have the confidence to finish my treatment. And I am so very happy now! I enjoyed my visit to Dr. Fulton's office. Everyone is so friendly and you feel so welcome. It takes all the fear away. Thank you very much for my new smile. I cannot tell you how much confidence I now have. I smile all the time and I love showing off my new look. His work is skilled and meticulous. The results are phenomenal... a dazzling new smile! 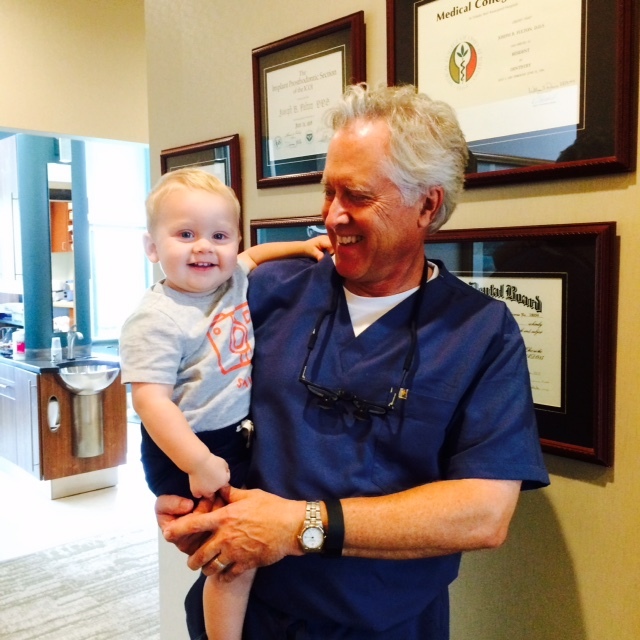 I would enthusiastically recommend Dr. Fulton and his caring staff to anyone seeking superior quality dental care. Without hesitation, your staff is friendly and kind, always making my visit to your office a pleasant experience. Copyright 2019 Dr. Joseph B. Fulton. All rights reserved.